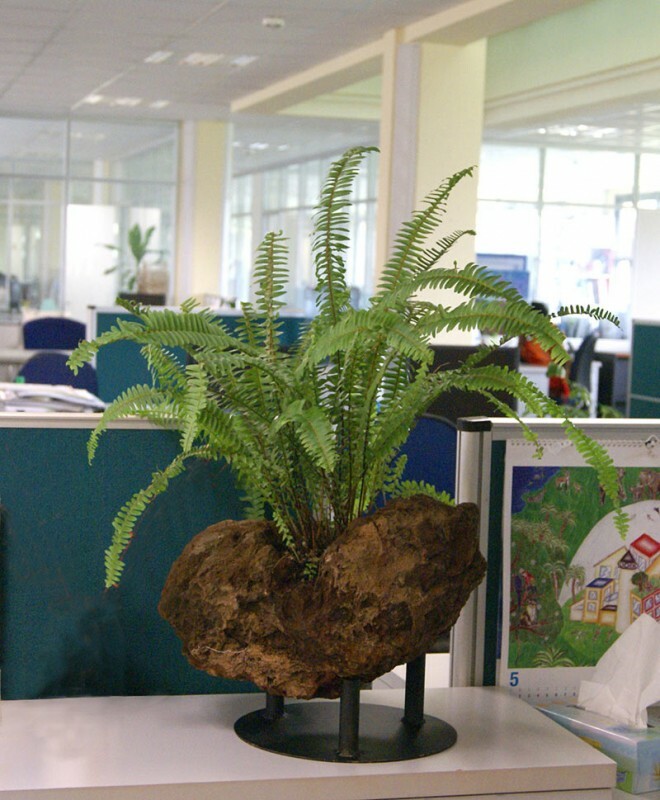 DFL specializes in the use of rock planters, which are typically weathered volcanic rocks, which have been modified for planting. 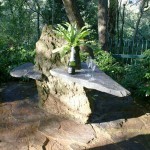 No alterations are done to the natural rock hence they retain their natural look also meaning that each planter is unique. 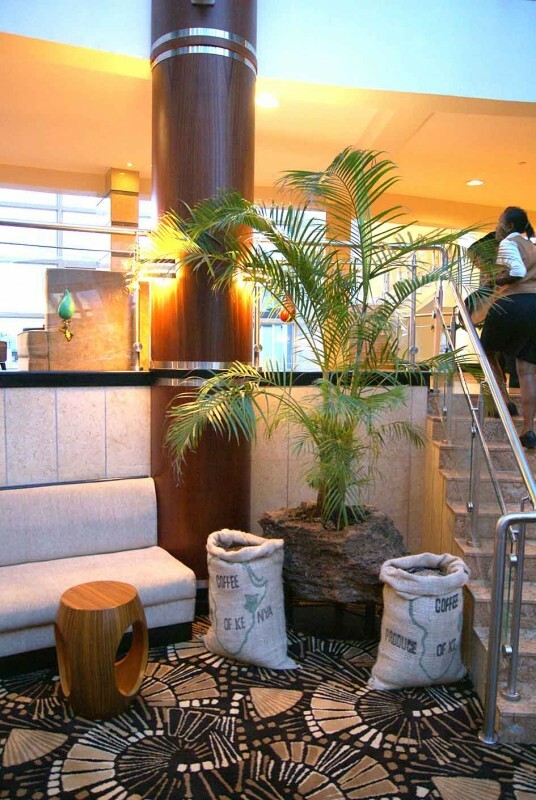 These planters are suitable for out door as well as indoor use. For many years I had been searching for an alternative planting container to the existing clay, plastic, ceramic pots and planters. I looked for something environmentally friendly and as natural as possible. Trials with wood from pruned materials proved unsuccessful. This was mainly due to termites that destroyed the wood and the humidity causing it to rot. Wood is also a commodity in high demand and many tree species are endangered. Being a landscaper, I like to capture the progress of my landscaping projects on camera. I started to take a keen and avid interest in photography. To promote my photographic hobby, I travel to rural areas within Kenya seeking advantageous locations that would foster my interest. On one of my safaris, it happened that I struck my foot against a rock. I picked up the rock and examined it and at this moment it dawned upon me that I could put this rock to commercial use. I took the rock with me as the idea formulated in my mind. 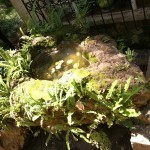 I carefully punched a hole in the rock, planted a small plant in it and soon it was flourishing. I returned to the place where I found the rock and picked up several different sizes. Every rock had its own shape making each one unique. I started planting different types of plants, and to my delight, it proved successful. In order to appreciate the uniqueness and natural design of each rock, I thought it would be a good idea to raise it above the ground by placing them on stands. In my efforts to make it a ‘green’ product, I looked for a material that was strong and recyclable. The stands I have designed form a strong and steady base for the rocks. 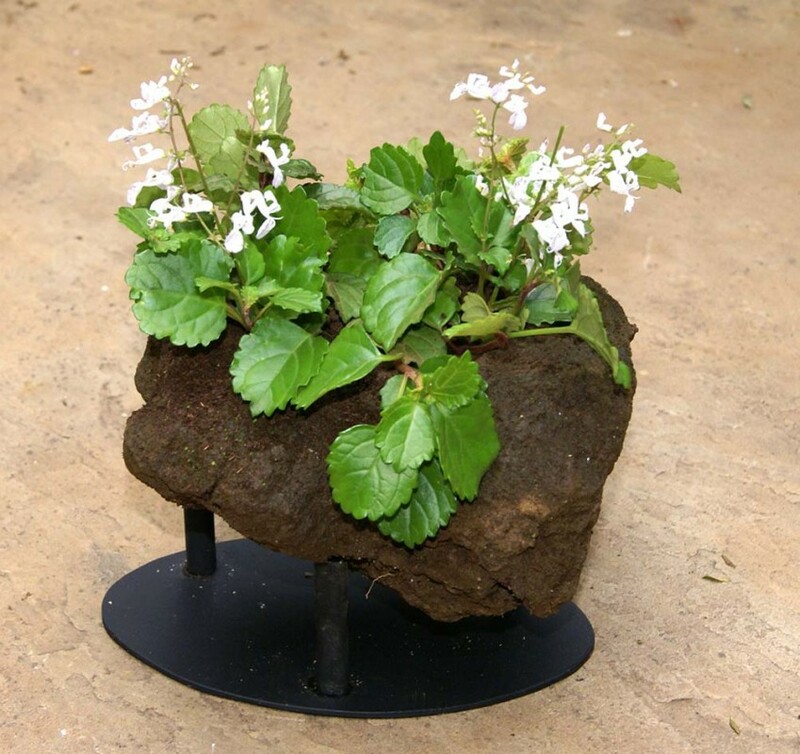 This is how the volcanic rock planters, now known as Kenrock Planters, were invented. These rocks originate from areas of past volcanic activity and have been weathered into sizes that can be easily handled. The rocks have several advantages over pots as they create a micro-climate within the vicinity of the plant. This micro-climate is humid enough to encourage the release of nutrients for plant growth. Spanish moss, Adianthum, ferns, moss and climbers to name a few thrive in the small crevices on the outer surface of the rock. Proper draining capacity of the rocks because of its porosity prevents water logging. 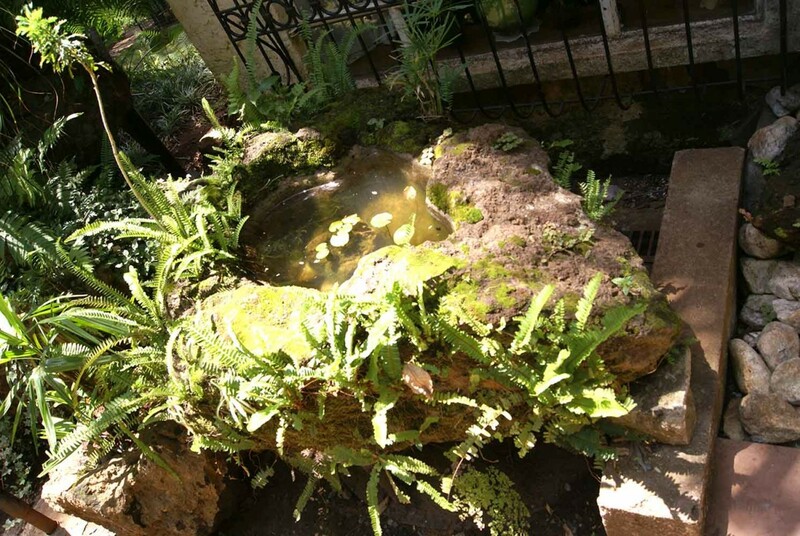 The water well utilised is equally distributed in the rock and the plants do not easily dry up. 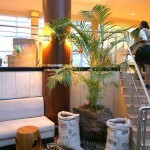 The planters come with a combined advantage of natural beauty, air purification and as a humidifier. 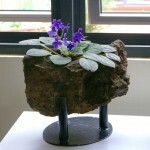 Although the rocks are kept as natural as possible, they require to be modified to accommodate the stand on which they are displayed, and the area where they will be placed. 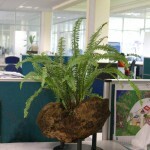 The rocks have been used to plant indoor and outdoor plants, shrubs, palm trees, ferns, succulents and aquatic plants. The rocks have been introduced into my landscaping projects, office and home settings, aquatic features and retention walls. The finished product complete with stands have featured in many exhibitions, functions and shop interiors have been well received by my clients. 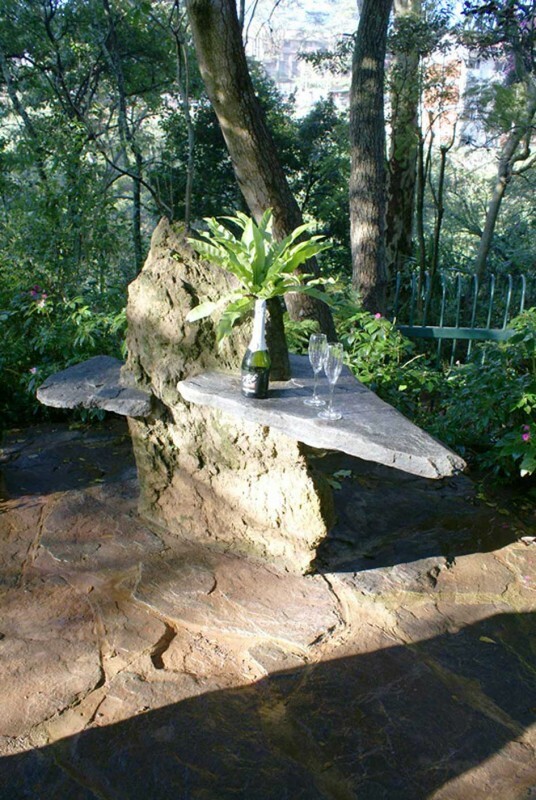 The reason to have this rock concept patented was because of its commercial potential and natural appearance. The use of the Kenrock Planters has reduced the use of plastic or other non- biodegradable and non-recyclable materials. As there were many requirements that needed to be complied with, the patent process took some time. The invention was registered in the World Intellectual Property Organisations’ office in Switzerland and the national level phase in Zaire for Kenya and other countries. The final step was to have the name registered as trade mark. 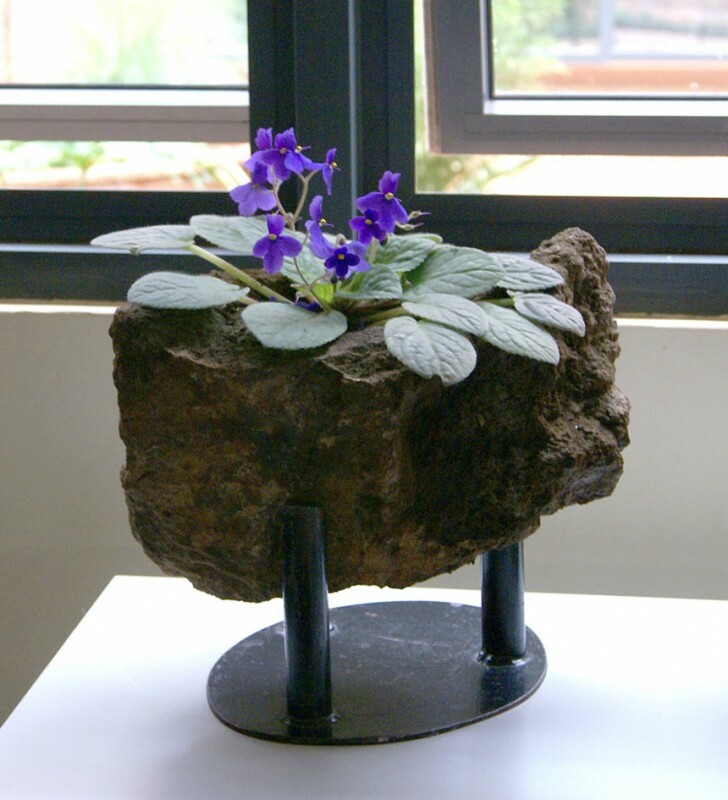 The Kenrock Planters has created local and international employment at different stages of the production and distribution process, that is at the collection and loading of the rocks, preparation of the rocks and stands, sales and export. The name Kenrock is derived from the rock from Kenya. Some international companies have shown their interest and willingness to import and distribute the product. In the photographs above are plants in a Kenrock Planters placed on a metal stand. The base of the stand prevents carpets getting wet or soiled. There is a drip watering unit available for easy and regulated water application especially suitable for watering over long weekends.